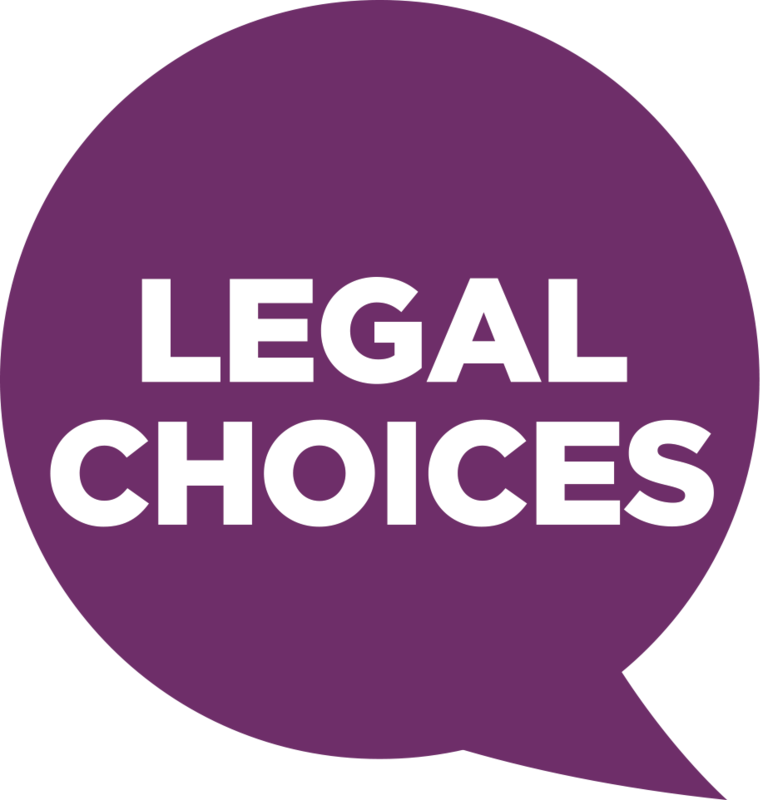 CCLs are a great opportunity to get your client ‘on board’ for their legal journey with you. However, CCLs are frequently a turn off for clients, as research published in November 2016 confirmed: Research into Client Care Letters: qualitative research report, available at CILEx Regulation. Clients often find it hard to engage with CCLs for many reasons, including that they are frequently several pages long, contain lengthy and wordy paragraphs, are often printed in small font, and use legalistic words and phrases. These issues are more problematic for vulnerable consumers. Vulnerability can be dynamic and, with legal cases being a distress purchase, clients who may not normally be vulnerable may become so due to their life circumstances. For example, during a divorce where there is a dispute about child custody. The research provides eight key principles to follow when preparing a CCL. These principles will be focused on in this and future articles. It is crucial that your client engages with your CCL and does not put it to one side for later, which often leads to vital information being overlooked. Clients must be clearly informed about the role of CCLs, and what they are expected to do with them. Less is more! Consumers lose attention when there is excessive detail. Make content client specific and avoid using generic information. Figure 2 contains suggestions made during the research to shorten client waiver information. 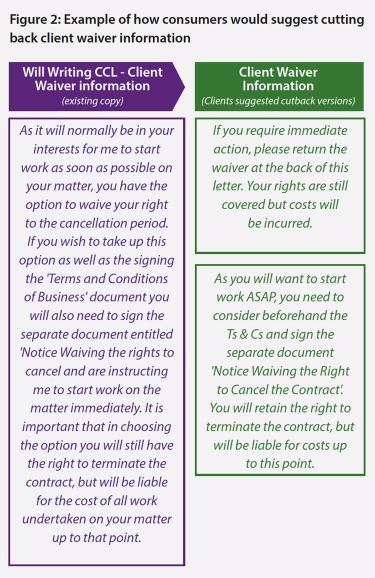 While the ‘ideal’ 1–2 page letter may not be realistic, consider whether some information could be signposted in the CCL and contained in a separate document or subsequent communication. Accessible language is the key to enabling consumers, regardless of their background, to understand your CCL. This is particularly pertinent for those with lower literacy levels and for whom English is a second language. Avoid using vague and or caveated language, for example, timing estimates such as: ‘It could take anything from a few days to a few months.’ A more helpful guide to a client could be: ‘The process, from when you accept an offer through to completion, is likely to take between 8 and 12 weeks’, together with an explanation of the types of issues that could cause delays. If there really is no alternative but to use legal terms because of the nature of the client’s legal issue, then you might consider including a glossary. The Plain English Campaign has suggested some explanations of legal terms which you may find helpful.